1. 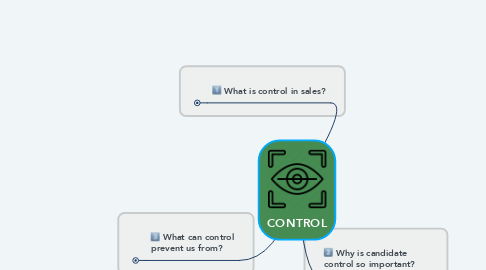 What is control in sales? 1.1. The relationship one has with the candidates is just as important as the job order itself. There is a direct correlation between the strength of the relationship with a candidate and fill ratios. The better the relationship, the higher the fill ratio. 2. Why is candidate control so important? 3. What can control prevent us from?